This is your recovery. Let’s work together. We have been doing this since 1996. Clear goals are set, time frames put in place, reaction to exercises closely monitored and progress reviewed with you regularly. Be motivated and make time to do your exercises (we can tell you what to do, but there is no way around it, you will need to work hard too!). So, regardless of whether it is multiple ligament reconstruction, complex fractures, joint instability, osteochondral trimming, hip arthroscopy, discectomy, disc replacement or tendon repair, we will help you put the crutches, braces and sling behind you and get back to your normal activity level. We tailor your rehabilitation using progressive, functional programmes for a more effective recovery. 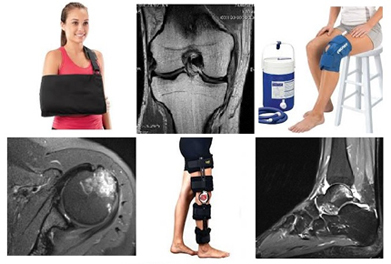 We receive most referrals directly from leading Consultant Orthopaedic and Neurosurgeons. Once your surgeon has done their work, our work to restore your function begins, from daily activities to the highest competitive sport level. Please bring any information regarding your injury with you (MRI, X-ray, specialist report). Attention to detail is very important in moving you smoothly through the recovery and rehabilitation process. Your surgeon will be kept up to date with your progress. They are familiar with our rehabilitation approach - we will be working together towards your full recovery. We regularly take patients through pre-habilitation to improve function, settle symptoms, and discuss details of the rehabilitation programme. Please contact us if you have any questions regarding your surgery or rehabilitation - we are here to help.